As a physical or manual therapist, your main role is to treat patients. However, you must never forget that you are also running a business and that part of your time needs to be spent on activities that will help you to develop your business. Perhaps you already have ideas of what you want your business to become but you are not sure how to get there? Or you want to take on a new therapist, but haven't quite got enough business to justify it yet? Or you want to be able to afford to rent a premises, or take on an administrator to help take some of the boring work off your shoulders? Well the strategy we advocate (and build our content to deliver) can 100% achieve this for you. Have a read of the following case study to understand just how well it can work for you. 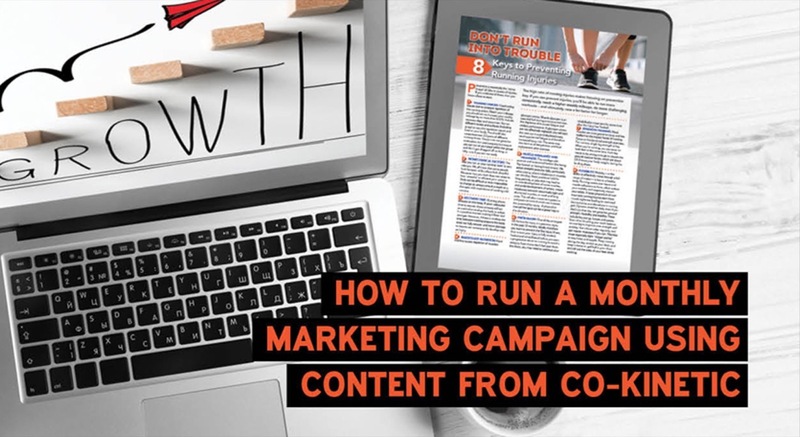 This article describes how to use the content that's included in the marketing subscription, to run an identical marketing campaign as the one outlined in the case study above, which takes you no more than 6 hours a month. Level 3: And if you have a healthy hunger to grow your business, then we give you the content, tools and resources to offer these new contacts or leads, opportunities to get in front of you through a live face to face event, so you can convert them into paying clients. This marketing strategy is a proven strategy that's working for 1000s of practitioners across the world, but for it to be effective in growing your business, you have to follow it through. You can't just do one part and then sit back and wait for your business to grow. To make it as quick and easy for you as I can, each Co-Kinetic marketing campaign contains everything you need to implement this strategy from start to finish. But if you want new clients, you've got to cross the finish line with level 3. If you're not hungry for new clients that's fine, but you absolutely should regularly run lead generation campaigns through your social media AND nurture your relationships with all your email contacts, regularly and consistently. And we give you all the tools to do this in less than 15-20 minutes a month, so there's absolutely no excuse! 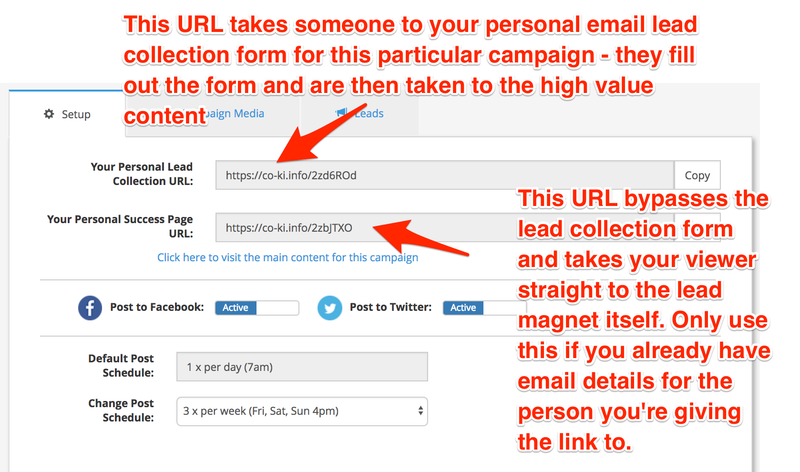 Everything you do at this level MUST link to your lead collection page which offers your lead magnet (highly desirable piece of content). Without that, you won't be able to collect new leads. If you use our platform, then everything in that process is taken care of. If for some weird reason you want to build your own lead collection pages and schedule the social media using another social media scheduling tool then there's nothing to stop you, because I give you everything you need to do that. It will take you about 2 hours longer, but if you've got the time to waste and you think you can do better, then hey, knock yourself out! Every campaign has a Personal Lead Collection URL which takes people to your own personal lead collection page, that we’ve created for you. 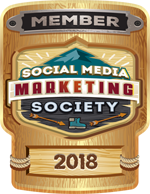 When that page visitor enters their email details, they will be taken to an awesome Success Page (see the Campaign Success Page URL) where they'll be able to download the lead magnet that they’ve signed up for. We collect those new leads and store them in the Lead tab for that campaign, in your Co-Kinetic account. If you've connected a Mailchimp account then we’ll also send them there. You literally don’t have to worry about anything. The whole point and priority of this level is to collect new email leads, period. But remember you’re offering some great value content to people, so let your imagination run riot on how you let people know the content exists and get them onto that lead collection page (don't be tempted into giving the content away without collecting email addresses). Note: Obviously any activities you undertake at Level 3 will also generate new leads if you promote them to people outside your own contact list by using the promotional material we create for you but I left it out of this level so we can keep them in distinct phases. This is a really simple level because it can just involve sending your existing email contacts a regular monthly nurture email, which we write for you. If you use Mailchimp we give you a pre-designed template including text and images, just one click and it appears in your own Mailchimp account, ready for you to edit and send, which should take no more than 5-10 minutes. If you use another email platform, we give you some sample text and images to copy and paste in a new email. You can edit whatever you like. All I'd say, is don’t be tempted to try and make any sales in this email (and if you do, keep it small and understated), it should just be a genuinely informative, educational email, offering value. The one exception is that if you choose to run a free session (ie. take it to Level 3), then you absolutely should use this email to promote that free session with a Call to Action telling them how to book onto the session. Every campaign kit ALSO contains a professionally designed two-page A4 article which you could print (or have professionally printed) and post to clients who you don't have email addresseses for. This would be a great activity if you knew for example, that they were particularly interested in the topic in question and it gives you an opportunity to re-establish contact with them, by providing value-added information, which also helps build reciprocity and further builds your professional authority and reputation. This is the conversion stage. If you do well at this level, the sky is the limit for your business! The goal of this level is to get someone face to face with you, ideally by offering a free (or mostly free) session allowing you the opportunity to further establish your expertise and create an opportunity for attendees to become paying customers. It gets harder for us to create the content for you at this stage, because what you do at this level will come down to your own skills and preferences but we do suggest ideas specific to each campaign and where relevant provide you with promotional material including Facebook ads (images and text), posters, leaflets and postcards which you can print out (or have professionally printed). Promotional material promoting two or three recommended free sessions/events (ie. promotional themes). Use the PowerPoint presentation to run an educational workshop. You can edit whatever you like, we recommend you add your logo and we provide blank slides so you can add additional content where desired. Print out the posters and leaflets and distribute them on local notice boards, clinic signage if you have any and on your clinic walls. Use the Facebook ad artwork to run Facebook ads promoting your free sessions. Once you get people to the session, make sure you have 'products' to sell. I’ve included a bunch of ideas at this link. This could be an additional more detailed assessment, packages of treatments, even packages of stock products, all depending on the type of session you’re running. If it’s marathon season, why not offer a special 10 for the price of 9 pre and post-run massages, or gait assessments at key training stages. Pick things you can do well, that demonstrate your skills and play to your strengths, and more importantly that you enjoy! Follow this process through each month and you will never be short of new clients and you will build your business. But as I've said before, and I'll no doubt say again, if you want more clients, you have to follow the strategy all the way through and you have to do it regularly and consistently. Do not expect to just post the social media posts to your social networks and for your life and business to suddenly change. It's not going to, even though so many people still believe it will! Spoiler alert...most people don't even see most of the posts you post to your Facebook pages, here's why. If you want new leads, it's very likely that you're going to have to pay for them (just like we used to in the old days by running ads in newspapers and sending out letters and leaflets to peoples' homes). Paying to get in front of prospective clients, is not new and running ads on Facebook is an incredibly powerful way to target very specific groups of people, but you're going to have to pay to play. If you just expect your unpaid (organic) posts to deliver loads of new leads, you're going to be VERY disappointed. And if you need new clients, you can't just stop at Level 1 and Level 2 because that alone is not going to convert for you. You have to take it to Level 3. If on the other hand you're in that enviable position of not needing or wanting new clients and you just want to maintain the status quo, build your brand and authority, increase your findability on Google and keep your current contacts happy, Levels 1 and 2 will will take less than an hour a month, and will work perfectly for you. I look forward to helping you use the Co-Kinetic content to turn your business into what you always dreamed it could be.